Closed-loop marketing is marketing that relies on data and insights from closed-loop reporting. “Closing the loop” just means that sales teams report to Marketing about what happened to the leads that they received, which helps Marketing understand their best and worst lead sources. “Half the money I spend on advertising is wasted; the trouble is I don’t know which half.” Almost a century after John Wanamaker spoke those words, most online marketers can still feel his pain. The irony is, today, marketers have the technology they need to “close the loop” between marketing and revenue, but few are actually taking advantage of it. To many, setting up closed-loop reporting has remained too hard and confusing to implement. To be an effective marketer, however, you need to be able to tie every single lead, customer, and dollar back to the marketing initiative that created them. This is how marketers can prove their worth and understand how to more efficiently reach their audience. 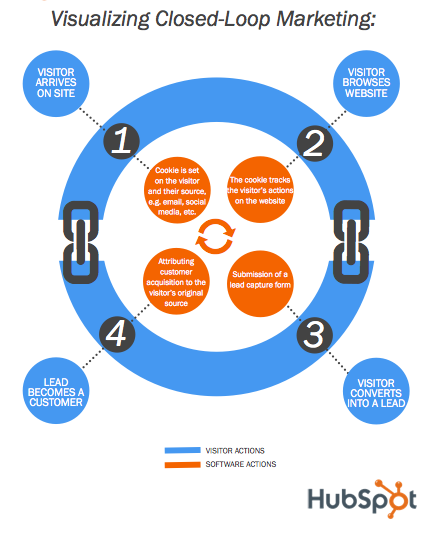 But how exactly does closed-loop marketing work, and what tools to you need to implement it? Let's find out! This is the entry point of your closed-loop system. As leads progress through your sales and marketing stages, the cookie will enable you to attribute them back to the proper channel. For example, whether they came into your site from a URL you used on print collateral you distributed at a trade show, an email marketing campaign , or a search term, you’ll be able to trace them back to that original source. Here is what that data can look like, depending on your marketing analytics software. Below, you see a screenshot of HubSpot’s traffic by channel, brought to us by the marketing analytics tools of HubSpot's software . By looking at this data, we are able to identify trends and compare channels, as each color represents a different marketing channel such as email, search, social media, etc. We know which are our most valuable sources of traffic and can work to optimize those that are underperforming. The easiest way to close the loop is to make your website the central hub for all your marketing activities. Organic search, social media marketing, email marketing, referral links, paid search, and even offline campaigns should get filtered to your website. Once someone visits your website, you'll be able to put a cookie on them and start tracking their activity. 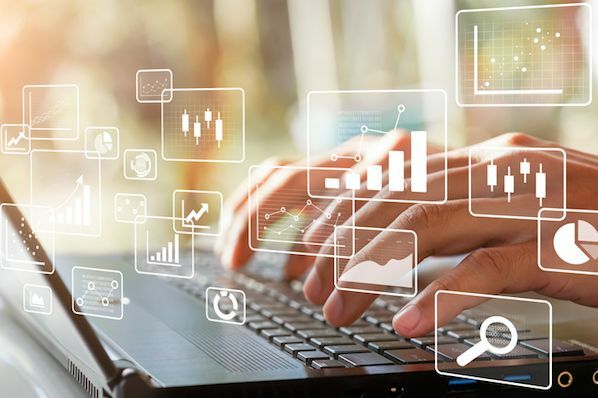 Most web analytics systems will allow you to track sources of traffic like search terms or referring websites, but you’ll need to go a step further than this to make sure you’re accurately assigning your leads to the right marketing initiatives. To do so, you should assign a tracking URL to every marketing campaign that is sending traffic to your website. By attaching this to your URL, anyone who clicks that link is signaling to your analytics tool that they are coming from Twitter. The same type of tracking tokens apply to different channels, such as email, paid media, and referral traffic. Investigate with your marketing or analytics software to make sure you have tracking tokens in place and your data gets assigned to the appropriate categories. As you attract traffic and identify where that traffic is coming from, you need to track the behavior of those visitors. Which pages are they viewing? What is their trajectory of actions? Such intelligence will illustrate a path that can, down the road, help you optimize for faster visitor-to-lead or even visitor-to-customer conversions. session with their lead information once they convert on a form. Without this piece, you’ll have two separate databases -- one with anonymous visitor history, and one with lead information. As a result, you won’t be able to connect those leads back to their respective marketing source. In order to make this work for you, you either need to do something very technical on the back end of your analytics platform or start using some software that does this for you. There are already a few software providers out there that have figured out how to do this, and there is no point reinventing the wheel. 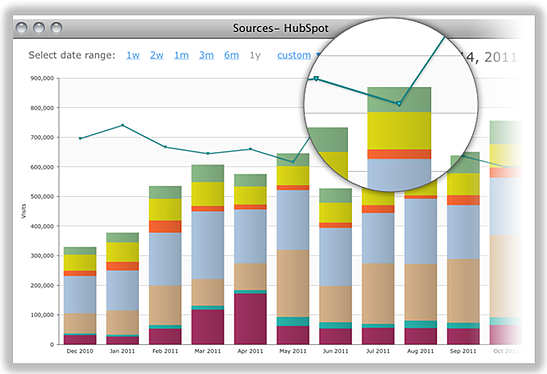 (Full Disclosure: HubSpot software allows you to implement closed-loop reporting.) Here is a screenshot of HubSpot’s Prospects tool , which tracks visitors’ activity (when they are still anonymous) and provides some actionable next steps, such as social media account information. In order to monetize the traffic you're getting and send qualified prospects to your sales team, you need to convert visitors into leads . You can make this happen by sending incoming traffic to landing pages, which make information exchange possible and collect more intel from your visitors. More than just knowing where your visitors are coming from, you’ll also need to know who they are. This is crucial to closing the loop and being able to associate closed customers back to their entry source. The way to capture this information is to direct website visitors to a landing page with a submission form (or also known as a lead-capture form). Once visitors fill out this from, you’ll have whatever contact information you asked them for: name, email, phone number, etc. As a best practice, you should be sending most of your traffic to landing pages and forms so you can grow your leads database. 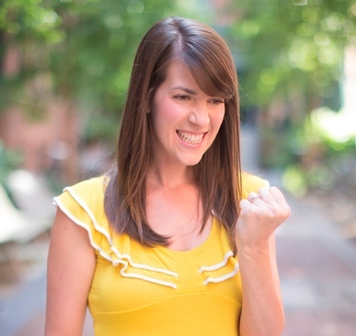 You can learn more about building awesome landing pages in this ebook . Now it’s time to figure out how these visits transformed into sales. Which one of your marketing channels contributed the most customers? Are there ways you can optimize the process for other sources? Closed-loop marketing enables you to identify the activities that bring in the most (and least) revenue. To do so, you need to look at all of the leads your sales team has closed and attribute them back to their original marketing initiative. If everything is set up correctly in steps one through four, this should be a relatively straightforward process. For most medium-sized businesses, the easiest way to achieve this is through your customer relationship management (CRM) system. For smaller businesses, you might do this more manually using a spreadsheet. 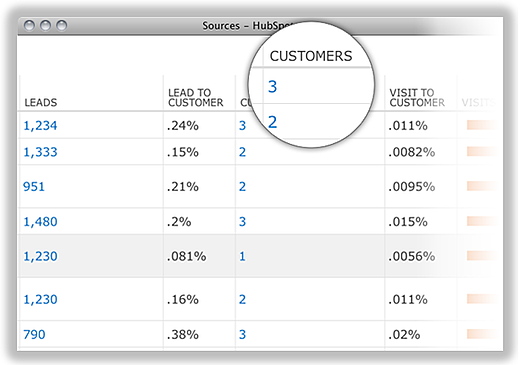 Here is a screenshot of HubSpot’s analytics , providing us with insights on customer acquisition from different marketing sources, such as email marketing, social media, and referrals. But if this all sounds pretty dependent on tools, you're right -- it does. In order to set up closed-loop marketing, you need to be able to map marketing activities to sales. As we hinted at earlier, such an integration requires connecting your marketing software to your customer relationship management (CRM) software. In other words, you need to be able to tie the intelligence emerging from your marketing communication with prospective, current, and former customers to the intelligence your internal team has built with these same people. Customer Relationship Management Software -- The purpose of a CRM system is to synchronize the activities of your sales, marketing, and customer support teams. A CRM platform can support your business in a number of ways ranging from selling and fulfillment to identifying and rewarding loyal customers. SAP, Oracle, Salesforce, and SugarCRM are some the most commonly known CRM systems. Marketing Software -- Software like HubSpot keeps a record of your marketing data and makes it actionable -- by giving you the information you need to optimize campaigns, enabling lead conversions, and revealing results. 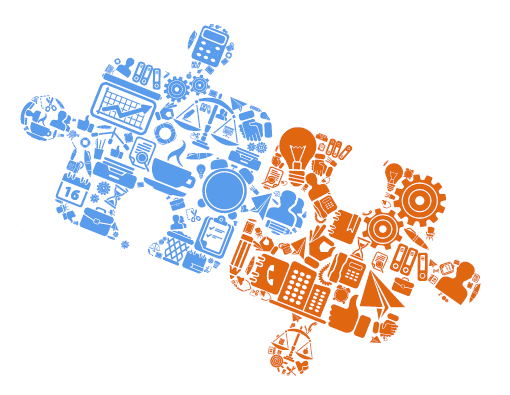 As a sophisticated marketer, you want the two systems to talk to each other. And technically, your CRM and marketing software are able to talk to each other through an application programming interface (API). So when one of your sales representatives closes a deal, he/she can mark that sale as “won” in your CRM, and that will trigger an update in the marketing software. You will then be able to go backwards and identify where this new customer originally came from. What channel brought them to your website? What pages did they view afterward? At what point did they convert into a lead, and then a customer? The intelligence marketers can gather from closed-loop reporting will expose conversion assists, or pages on their website that visitors viewed before they converted into leads or customers. Understanding a website’s conversion assists can help marketers identify the most influential pages they own. In doing so, they can learn a lot about why those pages are (or aren’t) effective, and apply these insights to improve poorly performing web pages and enhance other components of their marketing . Closed-loop marketing also enables you to achieve alignment between sales and marketing and define the operations between the two departments. 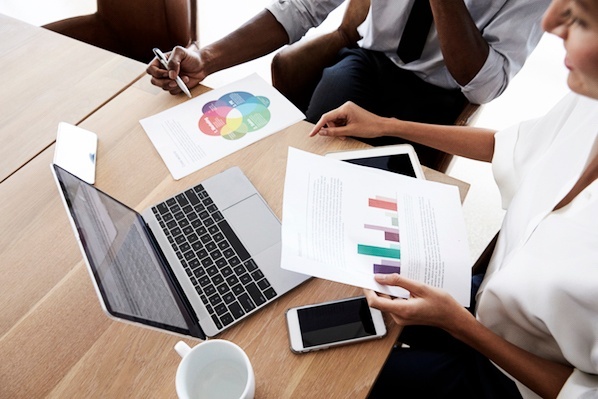 Other benefits of the integration between your marketing software and CRM solutions include the ability to implement sales assignment rules, lead scoring systems, lead nurturing campaigns, custom lead scoring, and monetary goal setting. To learn more about why closed-loop marketing is so beneficial to marketers, check out this post.